The best mountain, crag, sea cliff and sport climbing in Scotland. 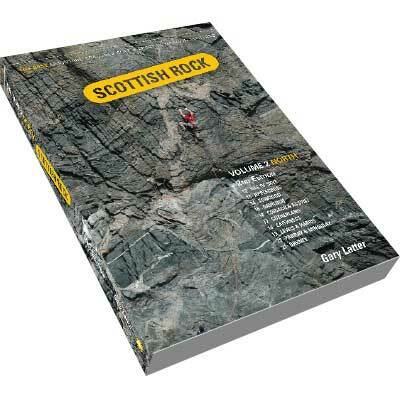 A native Scot, Gary Latter has climbed extensively throughout Scotland for almost three decades, pioneering hundreds of new routes of every standard throughout the Highlands and Islands, including major new routes and early repeats in all the major climbing areas throughout the country. During the dozen or so years researching and compiling these guides, he has personally visited and climbed on almost all the crags and cliffs documented, amassing an extensive collection of photographs along the way. His favourite places in Scotland are the islands and the north west – anywhere with the possibility of finding new unclimbed rock, secluded beaches, and hopefully some decent weather and nae midges! Amongst these, Mingulay, Pabbay and the small tidal island of Erraid, off Mull, are some of the most memorable venues. He lives with his wife in rural Perthshire, running his own business, Scottish Rock, instructing and guiding rock climbing and scrambling throughout the Highlands and Islands.